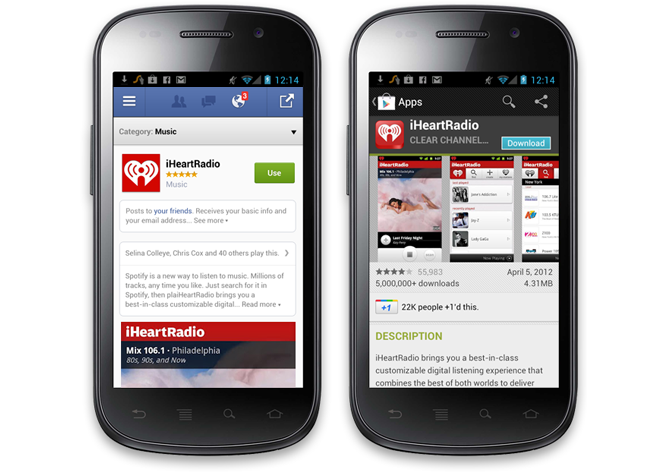 We’re excited that developers are beginning to realize the power of integrating Facebook into their mobile apps. As of today, seven of the top 10 grossing iOS apps and five of the top 10 Android apps have integrated with Facebook. 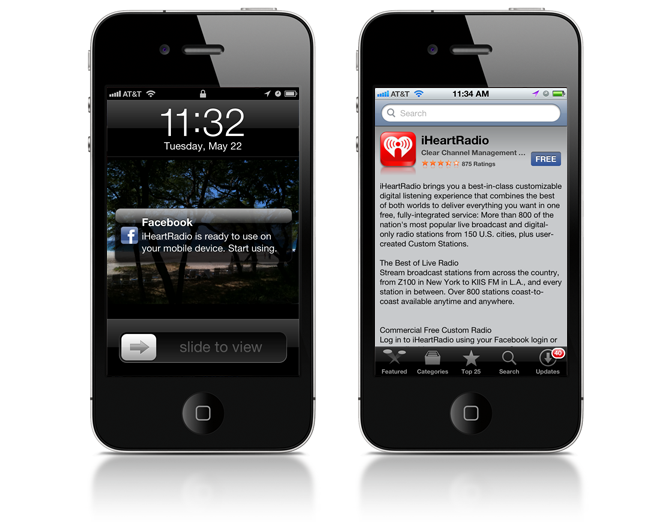 Facebook sends over 160 million people to mobile apps each month through news feed and timeline. Soon, with the App Center, it will be easier than ever to drive mobile app installs and reach the over 500 million people using Facebook on mobile devices. People will be able to access the App Center from Facebook’s iOS app, Android app and m.facebook.com. After someone clicks the install button on your mobile app detail page, they’ll be logged in and redirected to your app. If someone already installed your native app, we automatically open it and pass an access token for the authenticated user with the same code path for SSO authentication with the Facebook SDK. If they haven’t, we immediately show the user the install page in the Apple App Store or Google Play. When someone installs your mobile web app, we redirect them to your mobile URL. As a reminder, all mobile web apps need to call 'FB.getLoginStatus' and show a personalized experience to be listed in the App Center. We’ve also built a convenient mobile install flow for people browsing the App Center on their computer. All apps built for iOS, Android, and the mobile web have a “Send to Mobile” button on their app detail page. Once people click “Send to Mobile,” they’re logged into your app and we immediately send a Facebook notification to their mobile device. By clicking the notification, they’ll be redirected to your mobile web app or the respective install page in the Apple App Store or Google Play. All mobile apps with Facebook Login are eligible to be listed in the App Center. For more information, see the step-by-step documentation and sample code available in the iOS Getting Started and Android Getting Started guides. You’ll also need to create an app detail page in the Developer App. Learn more about creating a page and the guidelines. We’re looking forward to helping people find and install more mobile apps with the App Center. It’s not too late to include your mobile app in the launch, so make sure you integrate Facebook Login and create your app detail page.